2016 has been a big year for Star Trek. Not only did the franchise celebrate its 50th anniversary, but fans of the hit science-fiction show also learned that a brand new television show was on its way. 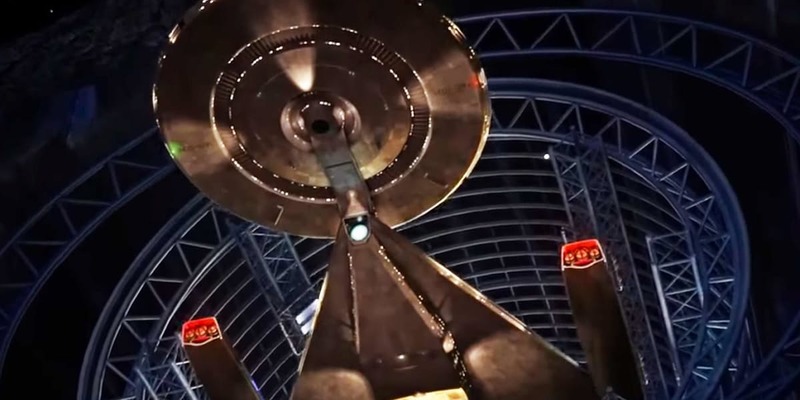 Star Trek: Discovery will be the latest attempt to boldly go where no man has gone before on the small screen, and now the latest news pinpoints when the show will start filming and better yet, when the new episodes will be available to watch. So far the plot of the series has largely been kept under wraps, but we do know Star Trek: Discovery stars Michelle Yeoh as the Captain of the Starship Shenzhou, a vessel that will be a big part of the show. A few other cast members have also been named, including Anthony Rapp (The Knick) and frequent Guillermo del Toro collaborator Doug Jones. Details on their roles are slowly rolling out, as it has been reported that Rapp will play Science Officer Lt. Stamets, while Jones will, unsurprisingly, take on the role of a Lt. Saru, who is a previously unseen alien in Star Trek lore. Previously the show’s creative force was centered on Hannibal creator Bryan Fuller, but he has since stepped aside to focus all his attention on his upcoming Starz adaptation of Neil Gaiman’s American Gods . Though it’s difficult to imagine the series without his influence, Fuller is leaving Discovery in the hands of Gretchen Berg and Aaron Harberts, both of whom worked on his ABC series Pushing Daisies. According to CBR, set construction for Star Trek: Discovery is wrapping up within the next month. Filming will then start soon after, likely at the beginning of 2017. This is all good news, as the show has already been delayed once, seeing the premiere episode pushed back from January to a spring 2017 release. Signs now point to Star Trek: Discovery airing its first episode in May. The premiere episode will be available on CBS and CBS All Access. Beginning with the second episode, Trekkies will have to subscribe to CBS All Access for $5.99 a month (or $9.99 for the upcoming ad-free version) to keep watching the series. For those outside the United States, you’ll be able to tune in via Netflix, as the streaming service has bought the rights to air episodes within 24 hours of their U.S. premiere. The first episode of Star Trek: Discovery will be a big test for the new show in more ways than one. With this being the only episode airing on broadcast television before hitting a paywall, it will have to get both Trekkies and casual fans willing to pony up the extra $5.99 a month to enter the new Star Trek universe. The network is clearly banking on the devotion of the franchises’ fan base to make this new series a success, and to help legitimize its fledgling OTT service. Star Trek: Discovery airs its first episode on CBS and exclusively on CBS All Access thereafter in May 2017. Are you exited? Let me know in the comments below.